To order the CIZE Challenge pack bundle at a huge discount (with Shakeology) for $140 in February, 2016. Includes the 21 Day Fix portion control containers and 30 days of Beachbody On Demand (streaming workouts). Click here to order the discounted bundle. On July 20th, the newest workout by Shaun T will be released for purchase. It is going to be a hot dance workout and it will be a hot seller. It's easy enough for the person with 2 left feet, but challenging enough for those who want to shake their tailfeathers. haha! It will get your heart rate up into your fat burning zone. It's great for those needing a low impact workout, or someone who wants to change their workout routine up and make it more fun. If you would like to be considered for this test group, please apply using the link below and I will contact you within 72 hours to discuss further. The group will include a meal plan, meal preparation guidance and my personal support and encouragement for 5 weeks. 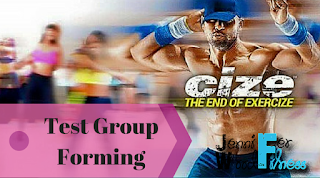 In this private Facebook group, you will also be surrounded by other ladies just like you who are working on their own fitness and weight loss journey. It's a great way to get active and start new healthy habits. I will take your hand and genuinely help you. CIZE Challenge pack bundle discounted with Shakeology for $140 in February.